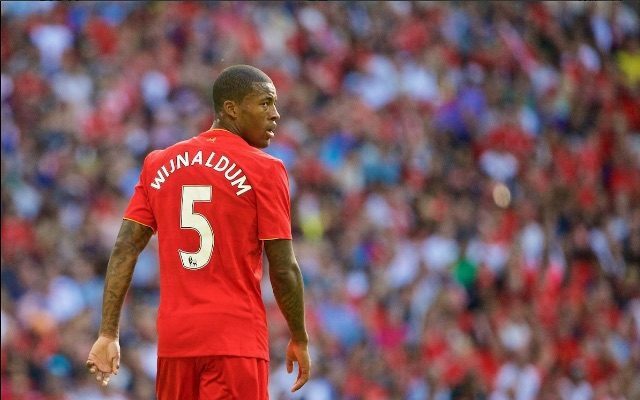 Gini Wijnaldum is now back in full training and will be fully fit for the visit of West Brom to Anfield this Saturday. Adam Lallana is also training normally, which means both will probably be in the starting XI. The Dutch midfielder missed Monday’s game against Manchester United with a hip injury that he picked up while on international duty. It was initially thought that he had injured his hamstring – an injury that would probably have ruled him out for at least a month – but scans revealed the problem was actually a lot less serious. Klopp confirmed the news in his pre-match press conference today. “Actually in this moment there’s nothing really to moan about,” he said. Gini was a £25 million signing from Newcastle over the summer. He’s quickly adapted to life at Anfield and has made the centre-midfield berth his own. Emre Can deputised on Monday night, but he understandably looked a yard off the pace. Would you throw him straight back into the starting side? Let us know!